Any more extreme weather, and we're back to the LIA | Watts Up With That? There is also the evidence of the “Year without a Summer”, a brutal volcanic weather disruption which occurred in 1816. 1. Current conditions are a miraculous “optimum” – any deviation from current conditions, cold or warm, will cause increased incidence of extreme weather. This isn’t impossible, but as a scientific proposition it stinks. 2. Predictions that a warmer climate will produce increased incidence of extreme weather are just speculation. However, the proposition that a cooler climate would result in increased incidence of extreme weather is well supported by the evidence. In conclusion, we know a cooler climate would lead to increased incidence of extreme weather, so spending vast sums in an effort to restore pre-industrial climatic conditions (i.e. the Little Ice Age) seems to be a less than sensible use of resources. If we are causing a little global warming, and in doing so are putting some distance between global climatic conditions and the “angry” climatic conditions of the pre-industrial age, this has to be a good thing. ya, its settled science. I read it in a history book. Obviously we’re screwed either way. Both global warming and cooling cause extreme weather. \may be detrimental to your health, contains traces of sarcasm. You can get Lamb’s book The Climate History of the World, written I think in the 1980s on the net. It’s a good read, with a lot of good hard science data, but also infused with a lot of underlying socialist style claptrap (such as ‘the world is now more vulnerable to changes in climate than ever before etc etc”, actually with modern technology and advances in health and welfare the world is now LESS vulnerable, similar style misguided arguments occur throughout the book). Eventually the socialist claptrap evident in the text took over the actual hard data, which has now become very distorted. The book serves as a window into what became of climate science once it became too politicised. The MWP and the LIA as well as all the normal stuff on solar activity and natural climate change is in the book, before most of this was bulldozed over by the likes of Mann and others later on. They have re-written over a lot of what Lamb discusses, but the book does have some good scientific stuff that serves as a useful historical context. Plain down to earth language to express your honest opinion and free from the rhetorical hyperbole and academic obfuscation that is now so regularly passed off as having a resemblance to science of some sort..
Anther option. The extremes of weather aren’t changing at all. We just have better detection (especially over the oceans) and better communication. We also have more types of weather (drier, wetter, hotter were always measured but foggier, worse air quality, number of dust devils?) that give more ways for the weather to be extreme. In short, the weather is just the weather. This is indeed true. And they preach that the exact average temperature of 1900 to 1950 or so, before mankind could add much CO2 to the atmosphere, was perfect and any deviation from the perfection could be catastrophic. So how do these clowns know what the exact perfect average temperature for the planet is? Could it be that any small change would be good for some and not so good for others? Could it be that a few degrees of warming would allow us to grow a lot more food? 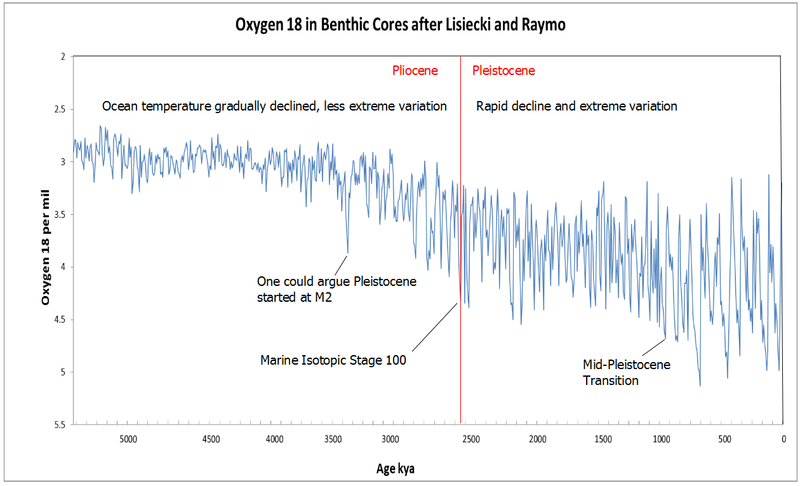 Could it be that the warmer ‘Holocene Climate Optimum’ was indeed more optimum than today? Could it be that there were periods in prior interglacials that were more optimum than any period of our Holocene? These arrogant, pompous, duplicitous fools have no real idea what the climate “should be” and yet want to help powerful forces dismantle much of our industrialized economy. With about 7 Billion humans on the planet, we have to have our industrial economy to feed, house, and clothe all of them. If we sink back into a world wide pre-industrial condition as the alarmists would like to see, then perhaps 6 Billion souls must perish. Are they not trying to kill off innocent men, women, and children on a scale never before seen in all our bloody history? The alarmist side is engaged, knowingly or not, in a vast anti-human conspiracy. As has been discussed a number of times on this site, temperature difference is what will determine how ‘angry’ the weather is. Therefore if the Arctic is warming faster than any where else the temp. difference between Polar and Tropical air will reduce, thus reducing weather extremes? What is actually happening, because on one side it seems weather has got more ‘lively’ while the data says otherwise? So there are two possibilities: If things are calming down we are warming or if weather is becoming more extreme we are cooling? What are temperature readings if not a history book? Its just that they are in numerical rather than text form. For some reason you believe numerical historical anecdotes in any one location to be more reliable than textual historical anecdotes, even though the latter tend to be more numerous and come from a wider variety of sources. Good to see this point getting more notice. In the MWP there were fewer storms in the approaches to the UK and small boats travelled freely between the Western Isles of Scotland which were far more fertile and prosperous then than today. In the LIA, storminess increased greatly. Since 2000 we have been moving back towards increased middle latitude storminess as cold polar air surged more often and more vigorously towards the equator. Data is history. Usually just more carefully collected and more systematically documented before being called “data”. That is all a time series is, a really boring history. Paleoclimate data is just the more interesting form converted to the less interesting, but numerically more digestible form, by hopefully sane and neutral mathematical legerdemain. Philosophy of science however suggests that such conversions can never be “neutral” since the conversion process is guided ultimately by someone who has an idea of just what “good” data should like. I always like to take such argument to the limit to see what it tells us. Really extreme cold (i.e. no heat) would lead to no weather at all. So that’s one limit. Really extreme heat would also lead to no weather – due to there being no atmosphere. But in between, weather is a reaction to heat – it is driven by heat. Global weather systems are driven by the temperature differential between tropocal heat and polar cold. So it is logical to assume that more heat would result in more extreme weather. Unless of course, tropical heat is capped in some way (some sort of mysterious thermostat) in which case increased heat might reduce the tropical-polar heat gradient, hence produce less extreme weather. Unless of course, the nature of the thermostat is such that is caps tropical heat by driving more heat polewards. This might produce more extreme weather. So I’m convinced both ways. I read a tropical storm, Bertha, is due to hit the UK this weekend. Does that qualify for unprecedented or just normal ‘climate disruption’? Mosher thinks history is bunk. I’m always baffled by people who show off their ignorance and seem proud of it. Well, I don’t see any real problem in guessing that warmer climate may lead to more extremes on both sides – cold and warm – while colder climate may lead to more extremes on just one side, i.e. cold. I don’t think hot wave numbers during LIA were comparable to cold spells. As a scientific proposition that would IMO pass. On the other hand I trust experts like Roger Pielke Jr. who say there’s nothing such like weather getting more extreme over past years. Da big warmy bring heapy bad weaders…more hurricanes(no), more snow and less snow(whowhat?! ), shrinky dem glaciers(nope), and and and its raises da seas level(snicker…no). I noes dis because dem models tell us me its so….settleds sciences. Yep mosher, der its be. … ya, its settled science. I read it in a history book. ??? Mr. Mosher, could you please amplify on the above statement. For sure, history has been affected by both weather and climate. It seems reasonable that, if we want to know how a change in climate might affect us, we should study history. yes/no? Yes that was the Wet Office yesterday, the remnants of Bertha to make August a wet-ish month! Just like it did when I was on holiday in Cornwall a few years ago, camping, & a few years before that, & a few years before that, & a few years before that, & a few…………………….weather is weather. I dare say they’ll ratchet it up & down to cover their arses either way, just so that they can say they got it right! As said a long time ago, weather is unpredictable more than a few days in advance, that’s is why their 5 day forecasts change daily with variations on a theme! Its the remnants of a hurricane. Its pretty common. I have camped out in the remnants of several over the years, the most memorable being in the 1980’s when, after two days of lashing rain, we emerged to pay the farmer to his astonishment as he thought everyone had long since gone. In the year 970, Germany suffered from famine. That in winter the corn was growing yet. We make the mistake of thinking the LIA was one centuries long event. It wasn’t, it had heat waves comparable with ours and much more severe cold weather to. All in all we had more extreme weather events of both types than we do today. Modern weather us remarkably benign in comparison. Alarmists such as the mosh hate history since history is testimony against their religion and scam. For 50 years I have read many histories of the US and elsewhere and the mosh is right to try to get us to disregard what those who came before us had to say — since they basically say that mosh is full of the stuff that comes out of the south end of a northbound horse. We live in a time of moderate temperature and weather. Mosh would rather believe his high priests who claim it is “worse than it has ever been”. The alarmists are delusional. Steve_UK: Nice little thought process you’ve gone through there. Your thermostat could be simplified to a heat-sink Thermostat implies a level of dynamic action that makes the theory much likelier to be dis-proven. A heat-sink, like… an ocean, perhaps? I’m horrified by the logic-fail of warm-mongers who can blithely say that the present 17 years of warming-in-remission is just climate change hidden in the oceans without seeing the logical implication that the earth may have coping mechanisms that debunk their disaster theories. I don’t know but it does seem to me there is a correlation between warm and cold and health. with warm being better. For once you are right. At a site called breadandbutterscience.com a retired Naval physicist and engineer has translated ancient weather events from 0AD- present. It is a very long but good read. This is basic meteorology 101. Stephen Skinner summed it up nicely. The temperature at the Equator isn’t going to change all that much, but the high latitudes have more variability. When the high latitudes cool, the weather gets angry. Global warming will always reduce the amount of ‘angry’ weather, if surveyed over the entire globe. The notion that global warming would produce more extreme weather has always been a myth, unsupported by reason or observations. It was strictly part of the PR campaign, and a pretty stupid part, at that. A 5000 foot glacier over Chicago is not extreme? The strongest longest lasting storms in the solar system on planets are on Jupiter and Saturn. With very low CO2 by the way. “With about 7 Billion humans on the planet, we have to have our industrial economy to feed, house, and clothe all of them. If we sink back into a world wide pre-industrial condition as the alarmists would like to see, then perhaps 6 Billion souls must perish”. Environmentalism is now a totalitarian philosophy – this is what the enviros want – to take us back to the pre-industrial age where mankind can “co-exist” with the planet – without any impact on it whatsoever – just like they did in ancient times. Really? Mark is absolutely right about the need for an industrial economy without which about 6 bn people will have to be “disposed of” in order for this utopian (or should that be dystopian) vision of the “perfect” world to come about. Have these people not seen the Pyramids or are they unaware of their own allegation of association of the migration of people into N America 12000 yrs ago and those peoples’ alleged wipe out of much of the large fauna there at that time. No impact? This philosophy also means that all the people in the world who are at present poor will have to remain just that, never to be allowed to have a decent standard of living, good health and long life expectancy, free from disease. Gawd luv us. The extremes of weather aren’t changing at all. We just have better detection (especially over the oceans) and better communication. And as an aside, the property damage was only because most houses are bamboo and tin shacks. I was there the week after, and all the concrete houses withstood the winds, most complete with their roofs. The only damage to concrete structures, was where they were hit by the storm surge. It depends on when we get it. If we get it in January and February, then I am all for it. Sorry Arizona. History? Who needs history? We don’t need no steenkin’ history; we’ve got models! The GDD totals at Moline, Illinois relative to normal have been as follows. The month of September averages about 17 GDD per day, so as of today, we need an extra 7.9 days of growing season beyond average to get to maturity. Most of the crops south of the IA/MN border will probably make it. Here’s an excerpt .It really states the obvious i.e, on a cooler earth the temperature gradient is greater from tropics to pole – the Jetstream goes more meridianal – temperature gradients across frontal boundaries are steeper and weather is much more variable and violent than on a more equable world. This is hardly surprising. “Concurrent changes in the Arctic Oscillation suggest a pattern of meridianal atmospheric flow will be more common than the more latitudinal flows of warmer periods. There will be a steeper temperature gradient from the tropics to the poles so that violent thunderstorms with associated flooding and tornadoes will be more frequent in the USA, At the same time the jet stream will swing more sharply North – South thus local weather in the Northern hemisphere in particular will be generally more variable with occasional more northerly heat waves and more southerly unusually cold snaps. In the USA hurricanes may strike the east coast with greater frequency in summer and storm related blizzards more common in winter. Arctic and Antarctic sea ice may react differentially to an average global cooling. We might expect sea ice to increase in the Antarctic but in the NH the Arctic Oscillation while bringing cooler temperatures further south may also occasionally bring warmer air into the Arctic with possible relative loss of sea ice in that area during those years. Hottest average day for entire time is July 19 with average of 85.4. Ranges from 69 to 92 with standard deviation of 5.1. Coldest day for entire time is December 24 with average of 32.1. Ranges from 2 to 47 with a standard deviation of 9.1. February 3 has a standard deviation of 15.0 with a range of 2 to 61 and an average of 38.5. July 8 has a standard deviation of 3.3 with a range of 76 to 89 and an average of 83.4. A scatter plot of range versus average has a trend line with a decrease of .55 in range for each increase of 1 degree of average with a R^2 of .737. A scatter plot of standard deviation versus average has a trend line with a decrease of .127 in standard deviation for each increase of 1 degree of average with a R^2 of ,772. I suspect that this fits in nicely with Mr. Eschenbach’s theory of a nonlinear thermostat effect which tends to kick in at higher temperatures. I wonder if the nice linear models show this sort of variability. Who controls the temperature data? Who controls the major media? That’s exactly what I read into all this. The Ehrlich “Population Bomb” presumption seems to be what is still driving all this hoopla. The premise that Billions must die to preserve some half-assed ideal that they arbitrarily set, which BTW, never includes themselves in those deserving the death sentence. Oh no! Who could possibly be qualified to arbitrate the “success” of this plan better than these extra-bright, and oh-so-insightful academics and politicians. Mosher seems to think that unless something is written in code, it cannot be true. One could actually write code to describe the following graphic, but would that effort make it more true ur just harder to apprehend? Don’t believe what the history books say. Don’t believe what the tree rings say. Just sneer. @Mosher, you may not know that, but anyone who has read Leroux does, and knows why and how. Lamb wrote a 1977 book about climate which is free of most of this CO2 nonsense. You can buy an old-fashioned hardcover from a used book dealer (make sure you’re getting the 1970’s edition, though). looks like Goddard has been popping Mosh’s history bubbles again………. I remember reading an article that stated if you used the current population density in London, which I took to be fairly middle of the road, and you relocated every man, woman, and child on the entire planet, they could exist in an area the size of Texas with London’s population density. My “friends” who complain about over-crowding and Earth’s “over population” refuse to accept that statistic, even though it’s nothing but simple math. The primary engine of the novel’s story is overpopulation and its projected consequences, and the title refers to an early twentieth-century claim that the world’s population could fit onto the Isle of Wight – which has an area of 381 square kilometres (147 sq mi) – if they were all standing upright. Brunner remarked that the growing world population now required a larger island; the 3.5 billion people living in 1968 could stand together on the Isle of Man (area 572 square kilometres (221 sq mi)), while the 7 billion people who he (correctly) projected would be alive in 2010 would need to stand on Zanzibar (area 1,554 square kilometres (600 sq mi)). Throughout the book, the image of the entire human race standing shoulder-to-shoulder on a small island is a metaphor for a crowded world. Hope this doesn’t double post, don’t know what happened. Better than last year, not by a whole lot, but we’ll take any improvements. Does this one start from May 15th also and last year was like -160 at this time? It was excellent until the July cold shots. The storm, formerly known as Bertha, is slated to arrive in UK on 10 August, which in the past has been close to the start date of the Fastnet Race. The event is biennial and this year, fortunately, there is no race. In 1979, a similar storm coincided with the Fastnet Race and 18 people died, 5 boats sank and another 75 turned turtle (inverted) out of 303 taking part. In 2007, the race was postponed by 25 hours due to severe weather. Eventually, 207 of the 271 entrants retired because of the weather. So not unprecedented, just weather. As regards ‘Bertha’ due to hit Britain on Sunday, I noted that a local rowing event on the sea next to our home has been cancelled on Monday 11th August. The reason? That is around half a metre more than we generally get at this time of the year. Yeah, we know this. But somebody will probably have to create a computer model in order for you to accept it. If you want to know the optimum temperature for the earth just ask Al Gore. He’s the one who claims the earth has a fever. So Piers Corbyn is spot on in saying for some time that we are heading into a little ice age. Does anyone know what was the level of CO2 back in 1287 AD? Then in December, both Holland & England were struck again. The MWP was ending about then & the LIA followed. Let’s see what mid-winter in the northern hemisphere brings us over the next 9 years. The next glacial period beckons & lamb will definitely be off the menu. Mosh is right haven’t you watch the models run the more CO2 the more heat, the more severe storms. Why would you pay attention to a history book when you have a really good reliable computer model that tells you otherwise, because the are always right! You bunch of nitwits, don’t read a book listen to an expert, because they know the real truth! Mosh as usual is dead wrong. Much of science is historical, but especially geology, the record of which is written in stone. Even more so paleontology, not to mention archaeology, which extends the record of human activity back before writing. Historiography itself is scientific in method when properly conducted. Mosh hates not only history but the scientific method, since both give lie to the myth of CACA. As to the main point, I’d say that it is settled as anything can be in climatology or meteorology that in general colder conditions will be stormier & more extreme than warmer. Even on a theoretical level, this observation is valid. The greater the temperature difference between the tropics & higher latitudes, the more powerful will storms be. Glacial periods are much windier & drier than interglacials. This applies not just to Earth. The colder the planet, generally the stronger its storms. Highest wind speeds in the solar system are on the windiest planet Neptune, with speeds up to 2000 kilometers per hour. I don’t think global temperatures has much at all to do with extreme weather events. More likely the differences between tropical and polar temperatures fuel extreme weather events. Correct. Centennial scale cold spells like the LIA show decadal warming phases, just as the Medieval and other Warm Periods display cooling phases. That’s natural, so to speak. It happens in all the centennial to millennial scale predominant cycles. In the early 18th century, the LIA experienced a warming more rapid than in the late 20th century. The Dark Ages Cold Period (after the Roman WP) had the pronounced Sui-Tang warming before climate dipped again, to be followed by the Medieval WP, which broke out above the S-T peak toward the Roman WP peak, but didn’t quite make it there, just as the Roman didn’t exceed the Minoan WP peak and the Modern has yet to exceed the Medieval. In 2002 MIchael Mann wrote, “The Little Ice Age may have been more significant in terms of increased variability of the climate” Now he argues increased warming will increase variability. As you suggest the period 1950-2000 must have been the peak of optimal climate conditions. And climate fools believe they can engineer the climate to be static and mimic a preferred time frame. May be logical, but still wrong. As Jim Clarke August 7, 2014 at 5:33 am says (citing Stephen Skinner): temps at the equator don’t change much overall. It’s the differential between the tropics and the higher latitudes that generates variable weather patterns. During warming periods that differential lessens and during cooling periods increases. Thus, the cooling periods generate more variable and extreme weather. That’s also logical, and confirmed by historic records. Not logical at all. The weather system is a differential engine. The cooler (but still hot by glacial Neogene standards) second half of the Late Cretaceous was stormier than its balmy, equable (less difference between equator and poles) first half, when a seaway ran from the Gulf of Mexico to the Arctic Ocean, by the shores of which basked crocodilians. As I commented above, the colder the planet, the higher its wind velocities. We just need to run those history books through a few rounds of adjustment so the climate in the LIA matches your prefered models. Continuing the jump on Mosher posts, I will add that yes, colder times will bring more extreme weather, as that is caused by the steeper temperature gradient between the north pole and the equator. Mr. Mosher – that is confirmed by many excellent meteorologists possessing excellent data to support their conclusions. I’ve heard this done with New York City. The tropics even in an ice age are still the tropics, as has been noted here the storms arise around 10 in the morning to cool the tropics, this would indicate that more heat is available than necessary to keep the tropics around 30C. 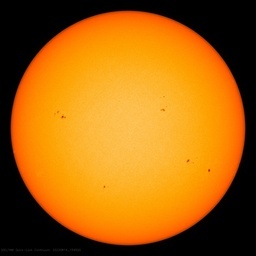 When the sun is in a funk less heat is available to the poles but still ample for the tropics. Thus a larger heat differential and nastier and more variable weather, this is not rocket science, but seems to allude the continually deluded global warmanistas. Auguring (not augering) tree rings can be just as unreliable as history.